A fall in Abu Dhabi’s hotel prices has prompted a record year for the Emirate so far, according to figures released July 27. 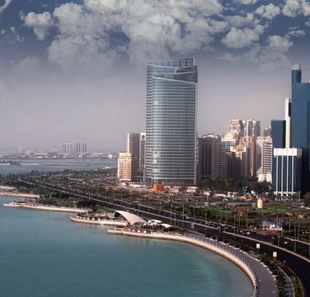 The first six months of 2011 showed the best hotel results in the history of the country, Abu Dhabi Tourism Authority confirmed, with the number of visitors climbing 11 percent to just over one million. Authorities hope to break the two million visitor target for the first time this year. The figures also suggested that people are staying 13 percent longer in the country than in 2010, with the average length of a stay (for both business and leisure) just under three nights. According to the tourist board, average room rates have fallen by 15 percent compared to the same period in 2010, making Abu Dhabi a more affordable destination than upscale competitors such as Paris, New York or Tokyo. That trend could also continue, with a glut of new hotels expected to open in the emirate before the year is out – a total of ten luxury five-star properties will open their doors in the coming months. Big names include Westin, Anantara, Hyatt, Park Hyatt, St Regis, Rocco Forte Hotel, Ritz-Carlton and Jumeirah at Etihad Towers. Reports suggest that although Abu Dhabi certainly appears to be the shining star of the UAE nowadays, Dubai is still climbing when it comes to aviation – passenger numbers through Dubai International grew by nearly nine percent during the first half of 2011, making the airport the world’s fourth busiest.